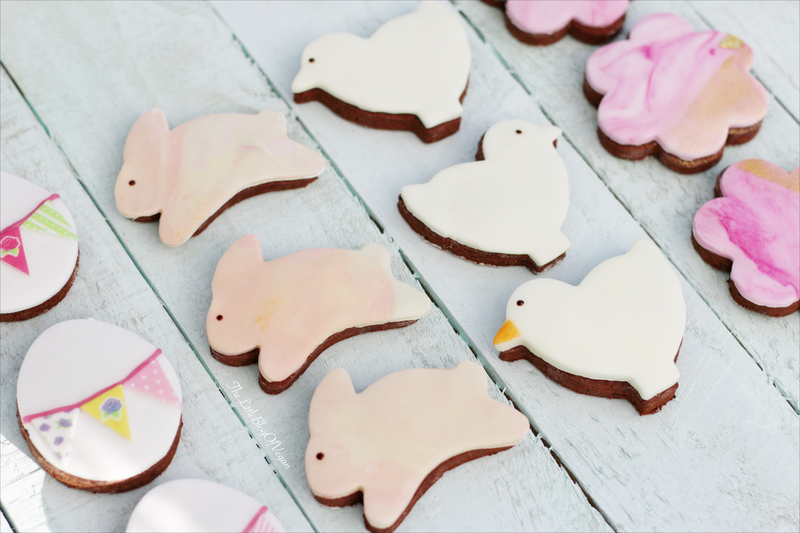 Easter is upon us....and what better way to get into the festive spirit than with a fresh batch of adorable homemade, pastel Easter Cookies! 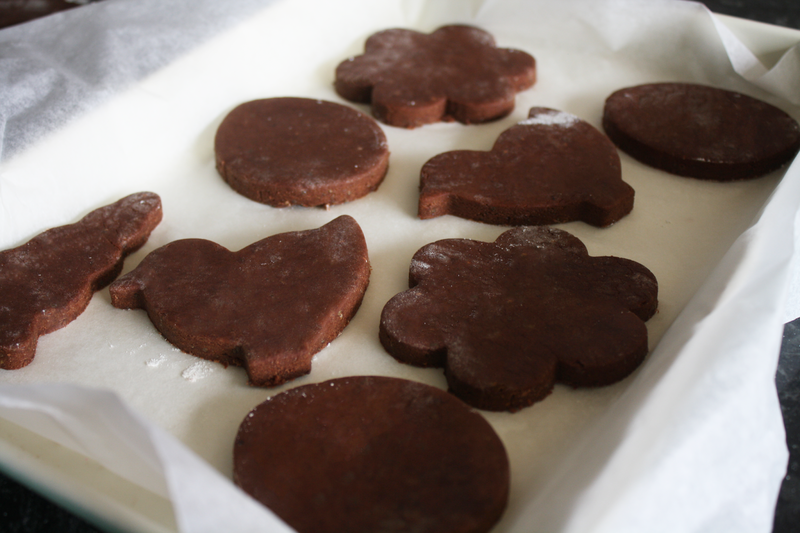 I decided to make these Cookies using Cocoa and Coffee as i thought they would compliment each other really well! I am a huge Coffee Fan and i thought it would be interesting to add Coffee into a Baking Recipe. 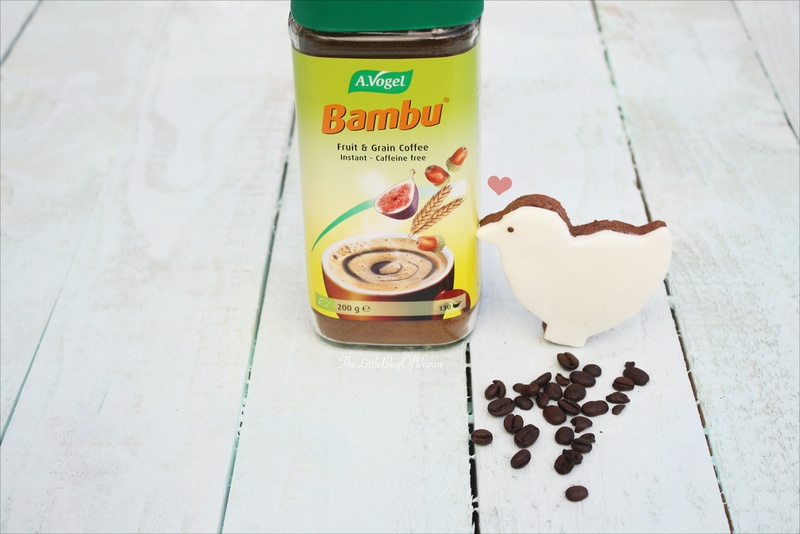 I used A.vogels Bambu Fruit & Coffee Grain which is Caffeine Free (so this means you can enjoy these Cookies what ever time of the day) and has a slight Fruity undertone which works wonders. A.vogels Coffee contains 0.0002% Gluten, so people with an intolerance with Gluten may be okay, but if you are highly allergic to Gluten, just use you normal, Glutenfree Coffee. As this is my own creation, i kept the Sugars low as i wanted to make it healthier, but if you want a Sweeter tasting Cookie, you can always add in some Extra Sugar. 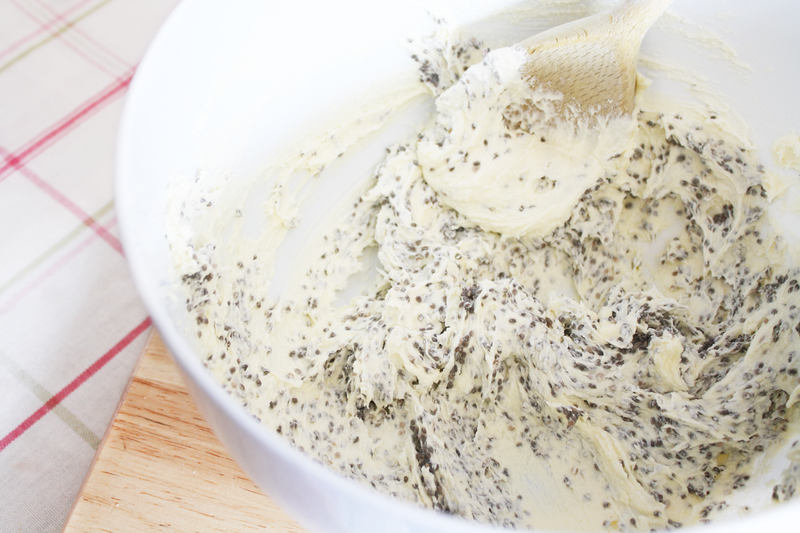 I used Chia Seed with Water as an easy Egg replacer. Chia Seeds are excellent in Protein & the Seeds delivers a great amount of Nutrients with very few calories. 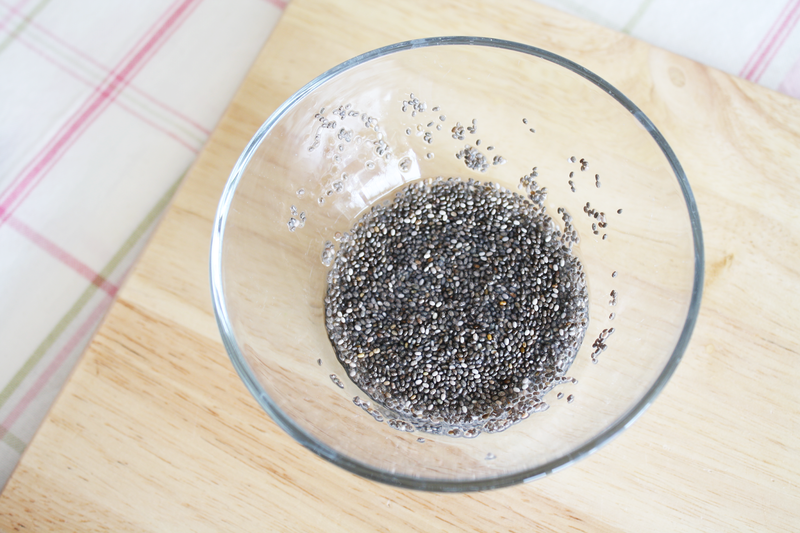 Chia Seeds are also rich in Antioxidants & are full in Fibre, Zinc, Iron, Manganese & Calcium. Easter (apart from Christmas) is my favourite time to get creative & decorate! 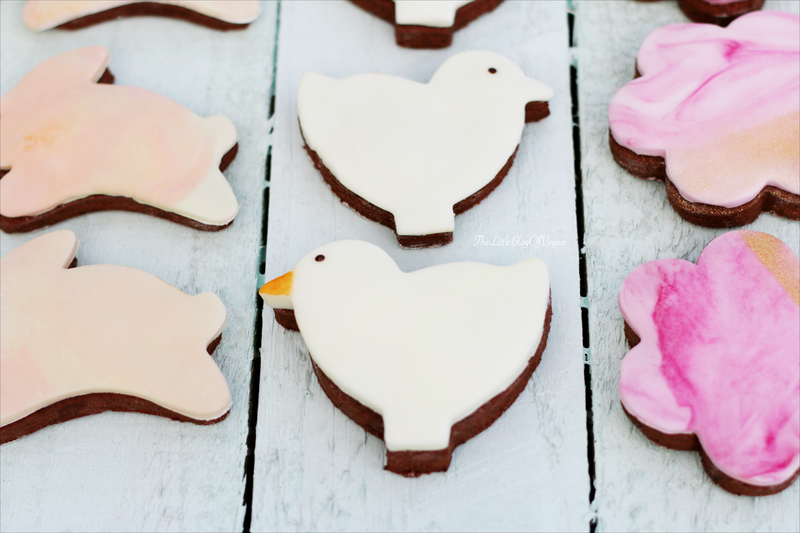 I am obsessed with Cute colours at the moment and because these Cookies are Dark, the contrast of both colours really pop & make them look yummy! This Recipe is soooo easy and simple to follow and takes under 2 hours to create some delicious & Instagram ready Cookies! Step 1- In a small bowl,combine the Chia Seeds & Water and mix. Pop into the Fridge for 10-15 minutes to thicken & jellify. Step 1- Pre-heat your Oven to 180Degrees, Gas Mark 4. Step 2- Cream together the Margarine or Butter and Sugar in a Large mixing bowl until smooth. 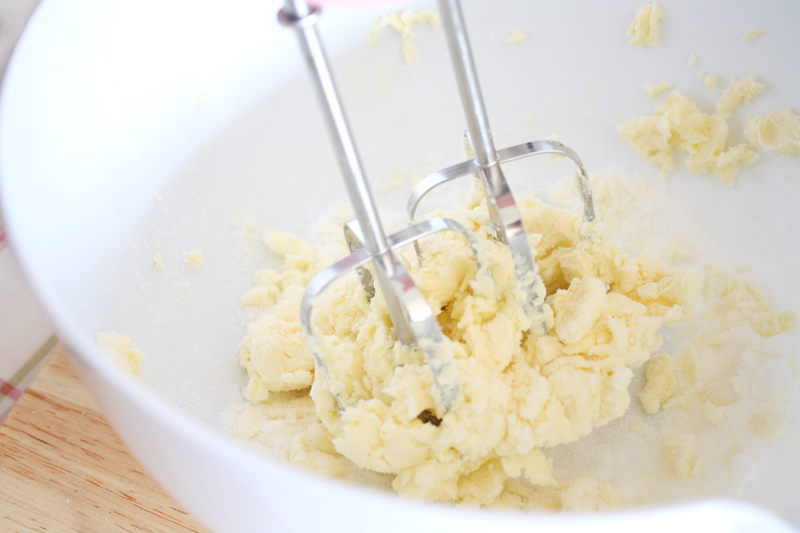 I use an Electric whisk. 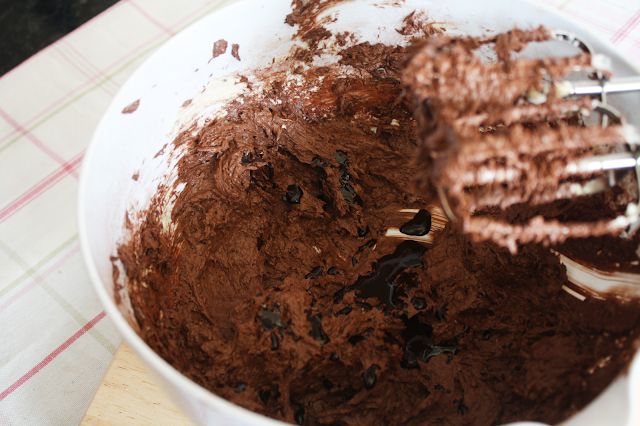 Step 4- In a separate bowl, mix together the Coffee and Vanilla Extract until fully dissolved and add it to the Chocolaty mixture. 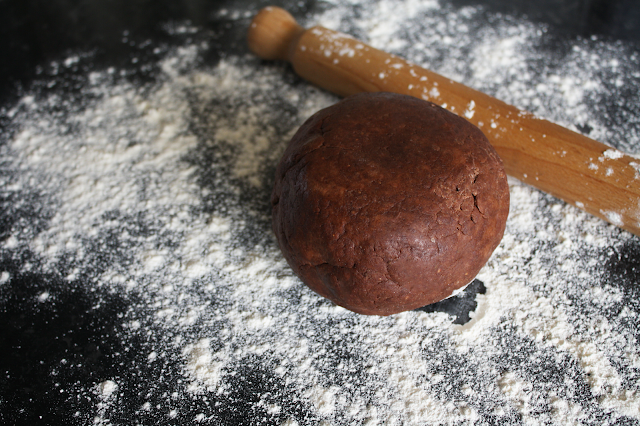 Step 5- Gradually add in the Flour, Salt & Baking Powder, mixing together until fully combined. Add in the Almond Milk a little at a time until the mixture comes together. 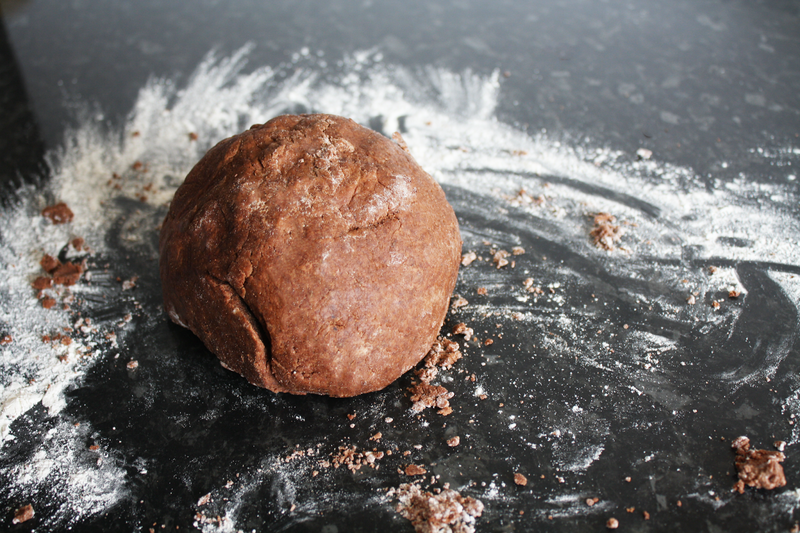 Step 6- With clean hands, kneed the mixture to form a soft ball of Dough. 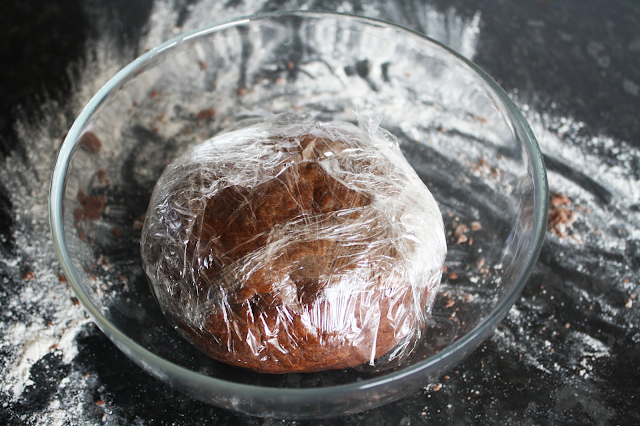 Step 7- Wrap the Dough ball in Cling-film and place into the Fridge to firm up for around an hour. 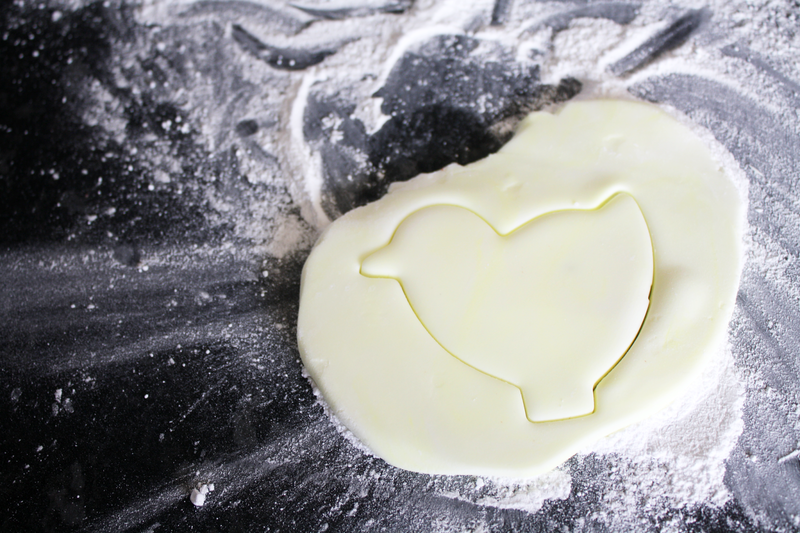 Step 9- Roll out to your desired thickness and using Cookie Cutters, firmly press into the Dough and place the Shapes onto a Lined Baking tray ready for Baking. Step 10- When you have all of the Cookies ready, pop them into the Oven and bake for around 8-10 minutes, checking them after 8 minutes. Your Kitchen will begin to smell DIVINE! Step 11- Remove the Cookies from the Oven and place them onto a Wire Rack to cool fully before decorating! Once the Cookies have fully cooled, now the fun part begins....DECORATING! 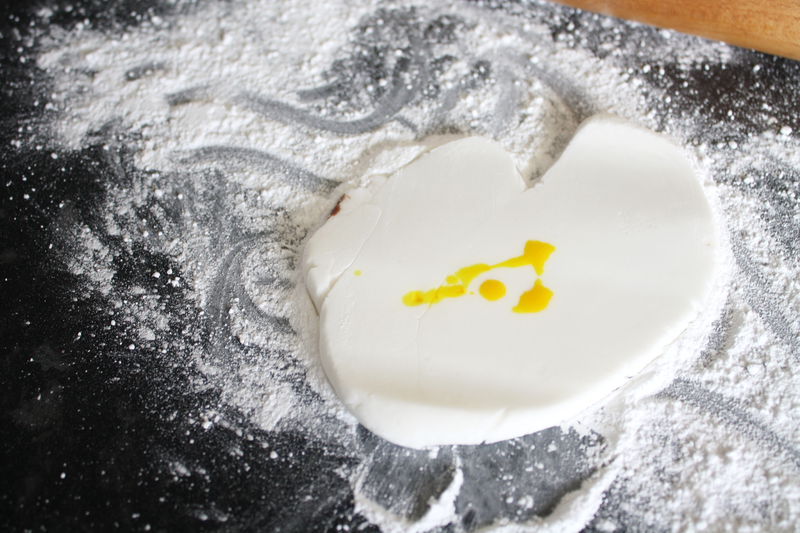 Step 12- Lightly dust some Icing Sugar over your work-Surface, apply your desired Food Colouring to the White icing and Kneed. You can always add more Colour if you want a deeper finish. 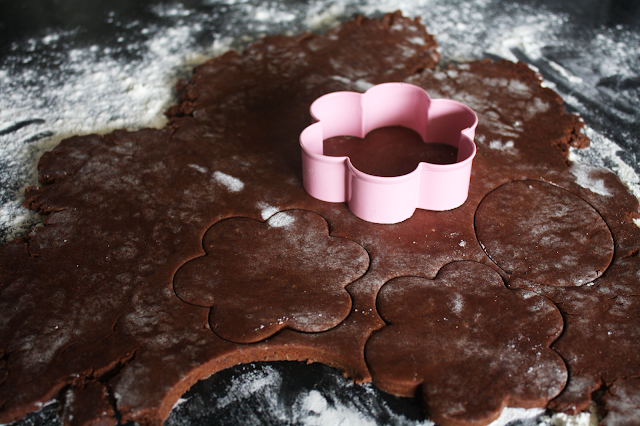 To get the Marble effect icing (like you can see on the Pink Flower Cookie) apply some Food colouring to the icing, Kneed only a little and then Roll out. This leaves an uneven coloured piece of Icing which looks lovely and show its many wonderful shades. Step 13- Roll out the icing and use the Cookie Cutters to cut out the Shapes. Apply a little water to the back of the Shape and place ontop of the Cookie. I added little Eyes using Dark Chocolate and a Bamboo stick, edible Gold Glitter and Gold Leaf for a special touch! 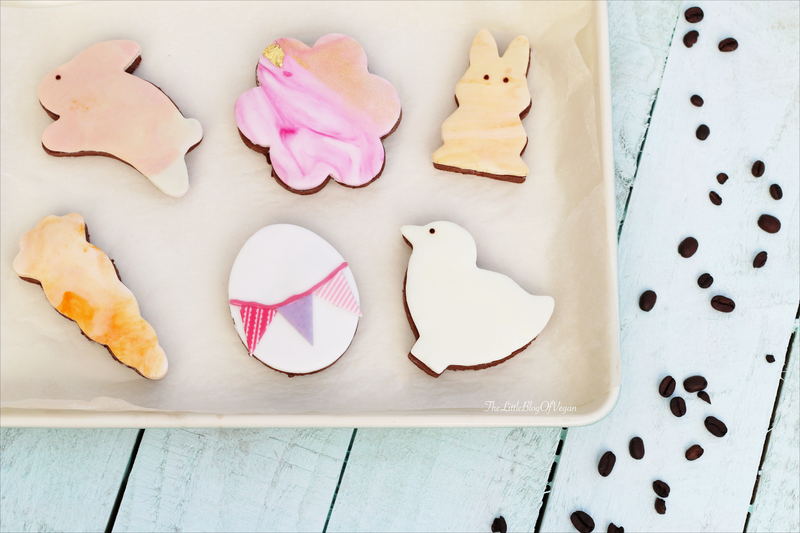 I LOVE how they turned out, and they would make adorable Easter Gifts wrapped up or an Easter theme Party! I hope you enjoyed this recipe!Share and follow me for more yummy posts to come!